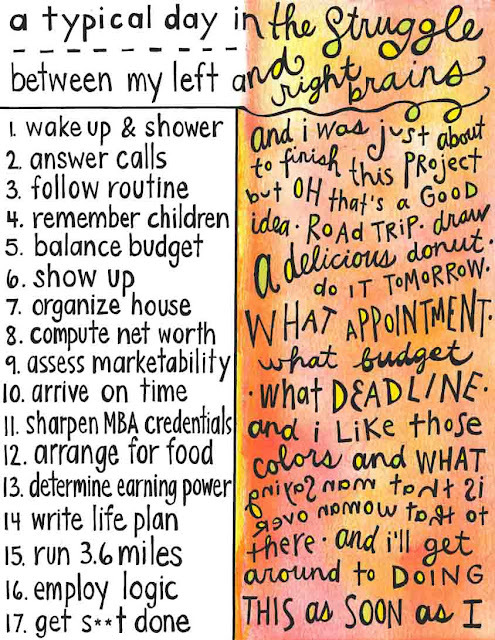 I came across this drawing on Artsyville a while ago and adore it... speaks so clearly to the jumbled-slash-organized mess going on in my head all the time! I ended up making both the Felt Garlands and some Table Runners for the baby shower I co-hosted this past weekend and was so happy with how it turned out! 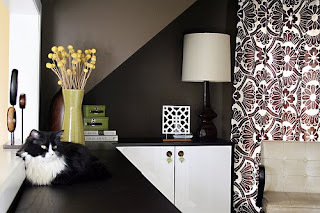 You can see a table runner below and the other one in a picture from Monday's post. 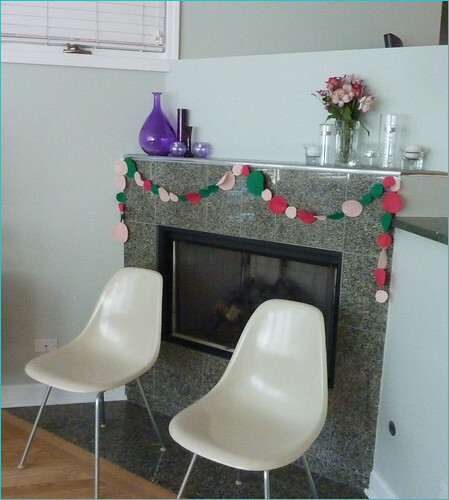 The garland was super easy to make... I cut three differently sized circles out of three colors of felt and then just fed them one-by-one through the sewing machine. 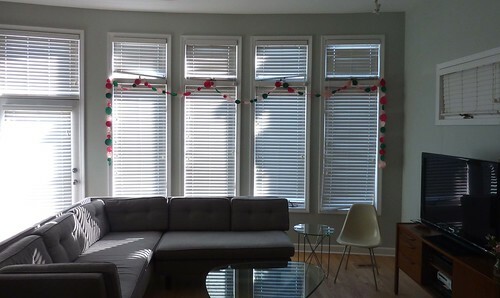 It was such a satisfying project to sew... very little time needed and you had a super long garland created! 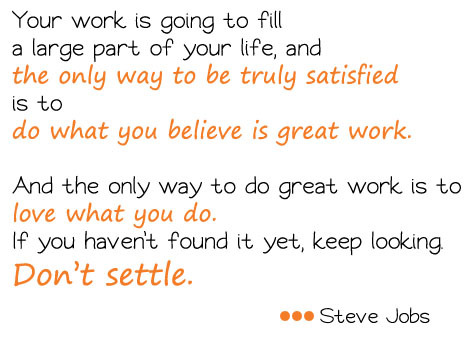 A quotation J recently shared with me... speaks to my heart... I hope you like it! The baby shower I co-hosted this past weekend went fabulously... we enjoyed good food (my contribution was cheese fondue- yum! ), good company, and lots of oohing and aahing over the gifts, especially all those tiny clothes! The main activity was a big hit- decorating onesies. 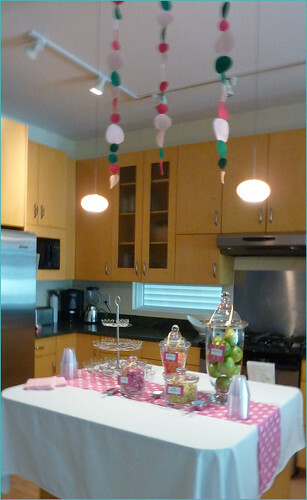 This seems to be a pretty common baby shower event, but I heard lots of compliments on the approach we took... 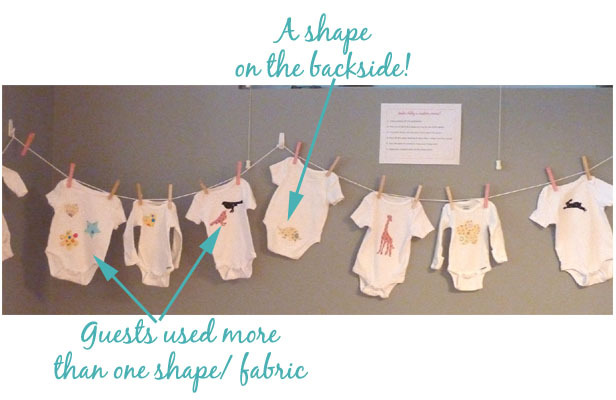 Using this idea from Jordan Ferney, we had guests trace shapes onto different fabrics and iron on their creations. I was seriously amazed by the creativity levels... 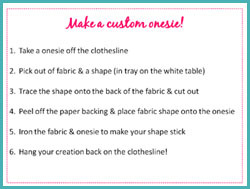 I had expected everyone to choose a single fabric/ shape, and one guest put her shape on the backside, which started a major trend! 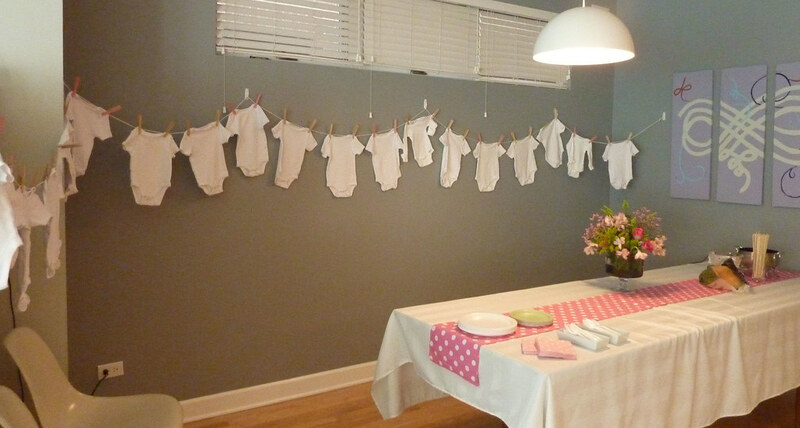 I had the onesies hung up on a clothesline with clothespins, and instructions hung a few places around the room. 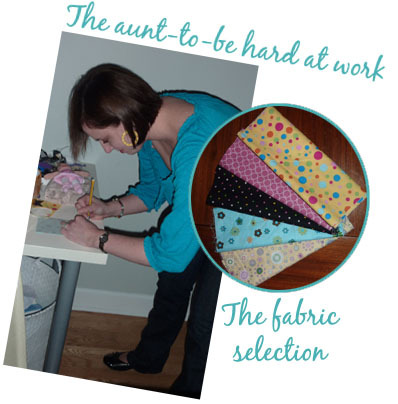 The 'worktable' had fabric pieces with iron-on interfacing already on the back and a selection of shapes to trace, and an ironing board nearby. I used interfacing which had 2 sticky/tacky sides, and that worked well. If you try this, we quickly learned that you can't have too many pencils or scissors! 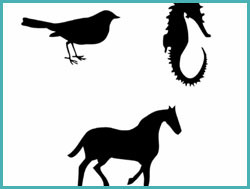 The fonts used to create the shapes all came from dafont.com- look under the 'dingbats' category. The shapes we used (pdf) and the instructions sign (ppt) can be downloaded by clicking on the associated images below. I love fresh flowers in the house, but am not always so good about keeping them in fresh water... I think that I may need to steal the idea I've been seeing on blogland - dried Billy Button flowers. So pretty! In general I am not a fan of fake or dried flowers, but love how cute these are. In case anyone else is also interested in re-creating this idea, Nicole from Making It Lovely says she got hers here.